It basically means not sending anything to the landfill. 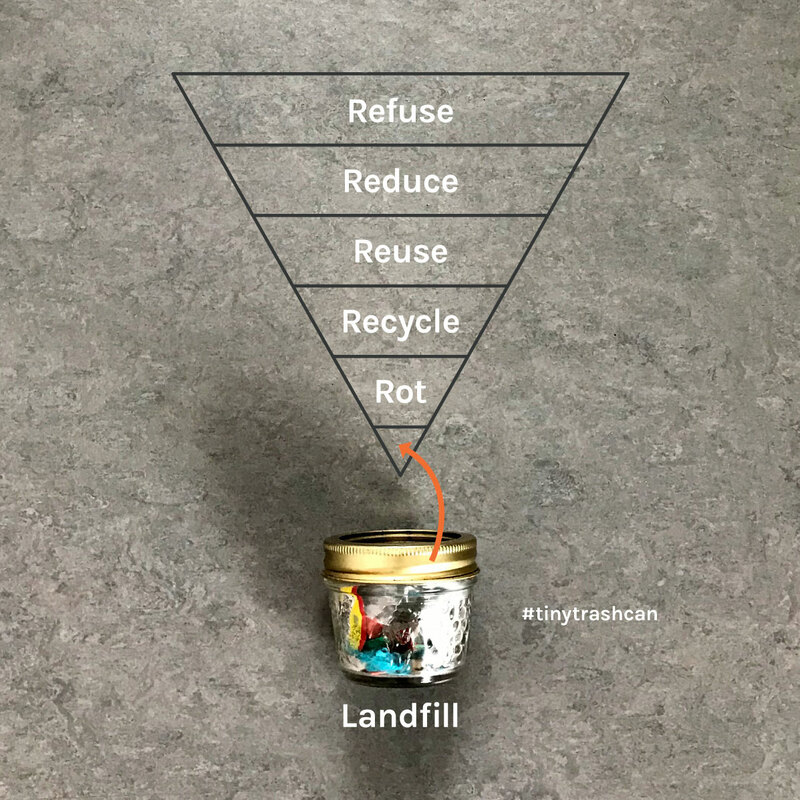 And while we don’t live in a zero waste world (yet), we can work toward achieving zero waste by following the 5Rs in this order: Refuse, Reduce, Reuse, Recycle and Rot (i.e., compost). By refusing the things we don’t need, reducing the amount of things we do need and reusing everything we can, we decrease the demand on our planet’s finite resources. 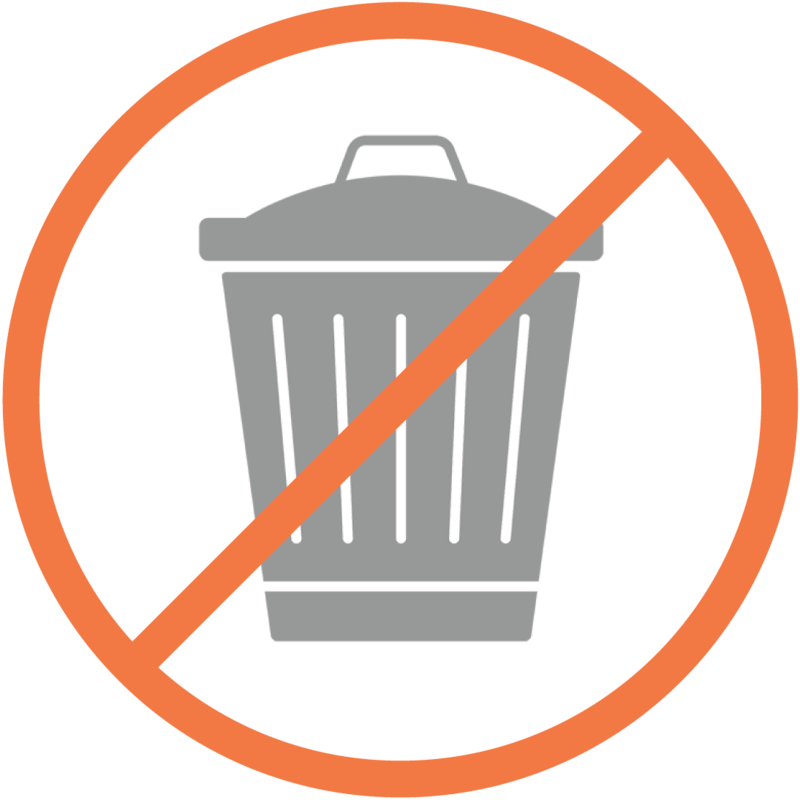 And by recycling and composting things we can’t refuse, reduce or reuse, we minimize our need for landfills. When you follow the 5Rs, you’re still going to produce some waste (it’s unavoidable within our current system). But it is possible to shrink our trash considerably, so much so that it fits in a tiny trash can! Ready to try a zero waste lifestyle?